This 250 lb. 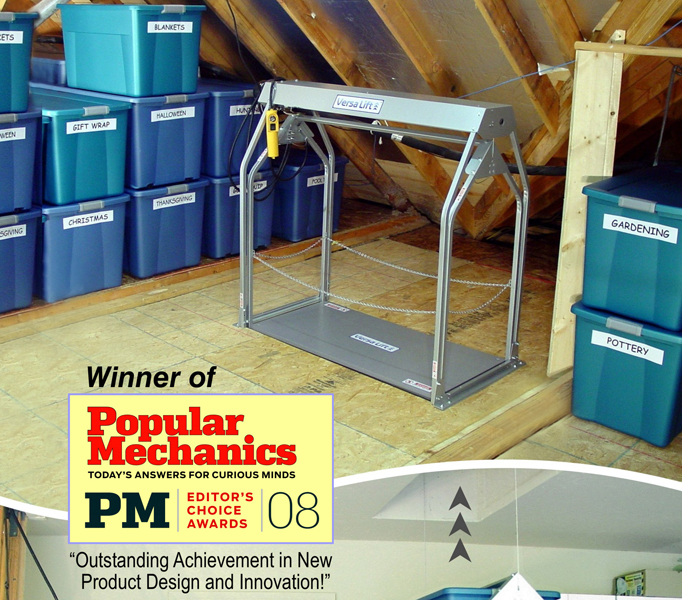 Capacity High Attic Lift is the answer to lifting storage into your attic. 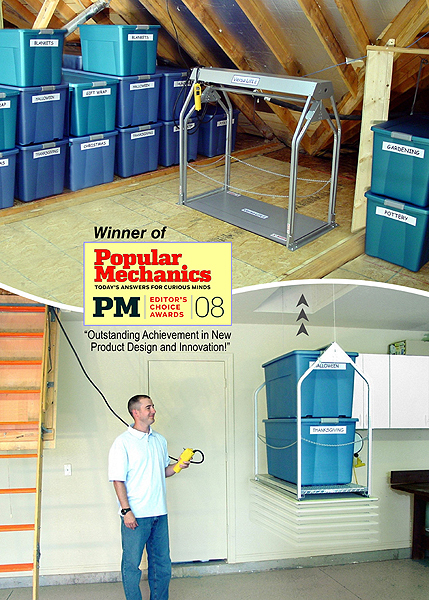 Now you can keep your space neat and put all those storage boxes up in the attic out of sight. 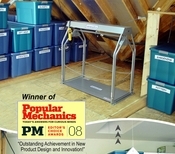 Keep your seasonal clothing and holiday decorations stored in your attic. An attic lift eliminates the risk and danger inherent in trying to climb up and down a rickety ladder with your hands full of heavy items. The attic lift is operated by a hand held remote. The remote is key locked for safety. Lift is equipped with fire retarding cover panels for additional safety. This lift is designed to lift up to 250 lbs. Units are not intended or approved for lifting persons.